We've been talking a lot about energy savings with the Freeze Yer Buns Challenge by way of saving money from home heating costs, either from electricity, oil or natural gas. Well, another way to reduce your energy costs is by switching from standard incandescent bulbs for home lighting to an alternative. Over the last five or so years, the most accessible alternative has been compact fluorescent light bulbs (CFLs). However, LED options are becoming more and more available. Currently, they are more expensive than CFLs, much like CFLs are more expensive than incandescent lighting. However, the cost savings in the long run (assuming they last as long as they purportedly are supposed to) more than makes up for the initial investment. I'm sure a lot of you have eyeballed LED light bulbs at the store, but didn't want to spring for the $20 or so to pick up a light or two. I know I have. So, I jumped at the chance when the Home Depot offered to send me a selection of LED lights to try out and review. I also managed to convince them to help spread the love to some lucky readers. Most of the Home Depot's LED options are still fairly limited and I'm hoping that a larger selection is on the way in the near future. Of the LED bulbs that I received, the most comparable one was the 40 watt LED standard sized light bulb. It seemed like it put out as much light, as advertised, but without the warm glow of an incandescent, so really not that much different than a CFL. What the heck is an LED light? What's the big difference? Longevity. An LED bulb will last years (15 years! ), longer than any comparable CFL bulb and you don't have the issue of mercury disposal when you do need to replace them. If you are not familiar with LED bulbs, here are a few stats from the Home Depot website. An LED is a light emitting diode capable of illuminating any space in your home. LEDs generate a high level of brightness using less power than incandescent bulbs. LEDs last up to 100,000 hours, 100 times longer than incandescent bulbs. Using LEDs can dramatically reduce maintenance and replacement costs. LEDs are reliable, safe and durable, solid state devices with no moving parts. LEDs do not contain glass, filaments, UV light, or mercury. Longer life makes LED light bulbs less likely to create environmental waste. The size and digital nature of the bulb offers innovative technology. In honor of turning our clocks back an hour this morning, I'm hosting an LED light bulb giveaway sponsored by Home Depot and their selection of LED light bulbs. I don't know about you but, where I live, Daylight Savings Time means that I have to turn the lights on about 4:00pm if I want to see my hand in front of my face. Using energy saving light bulbs saves me a ton of money. If you are interested in entering the random drawing, please add your name to the comments of this post and tell me what you think about your lighting. Do you love incandescents and refuse to give them up and hate CFLs or are you happy with the energy saving alternatives. You have until midnight PST this Friday, November 12th to enter. This giveaway is open to U.S. residents only. We use LED lights in our home whenever possible. They took a little getting used to because I didn't think they were as bright as our old ones, but now we love them. We have CFLs and they scare me. Or I guess I'm scared for them to be around my kids. My daughter (3) dropped one in our garage and I freaked! We need a change, and soon. We were using the squiggly light bulbs in every light but they all burnt out way before we thought they should. I went back to buying regular bulbs and they lasted longer! WTH? I would be very interested in trying LEDS because I have Seasonal Affective Disorder and I need light to counter act it. I have lights on 24/7 so I would hope they would help and keep energy costs down and replacement costs down. I would use LED's if they were a bit more dependable. I had one that shorted out a month later. We have CFL's in every light except the back porch(we inherited the light so when it fizzels it will be a CFL or LED) and our desk light which I use the most of all. Its LED. My CFLs seem to be lasting just fine. In my kitchen I have 6 flood lights. That's a lot of energy used and a lot of heat given off in the summer. I've switched a few out for CFL flood lights but they take a while to warm up and get to full illumination so it's frustrating. I need an alternative that will give the same energy savings and bright light, but without waiting for them to warm up. I've been wondering if LEDs will work...however did read a blog post review where it looked like the LED wasn't as bright as the CFL. So, we'll see. I know I'm not happy with the LED Christmas lights. They just don't illuminate enough. There just doesn't seem to be a perfect light bulb on the market yet. I do want to try LEDs in a few different places in my home to see how they compare. Thanks to you, I remembered to set my clocks back! But don't these bulbs require a HazMat team to charge into your house if you drop one, or need to throw it away? I am looking forward to LED lights! I've had poor results with CFLs, with burn outs well before they should. No one from the power company seems to know why. Not to mention the wait for them to turn on fully in my colder than average house. In some of my rooms, I'm done what I need to do long before the light comes up to full lux. I really want to try the new LED lights; I tried buying the CFL lights that look almost like corkscrews but they wouldn't fit into some of my light fixtures..the globes wouldn't go back on the light because they were too large or they stuck out of the top of my lamp. My husband complains constantly about our electric bill..he swears it's because the kids refuse to turn off the lights. I know part of it has to do with our lightbulbs. I love that the new LED bulbs last 15 years...sometimes I can't get a bulb to last two weeks here which is frustrating when you have to get a ladder and pull off the globe to change the bulb. We have CFL's for nearly every single light in the house, just upgraded. The only one that isn't is in a hallway that is near impossible to change. Anyways, not sure how I feel about CFL's anymore what with the mercury and now what I'm hearing about "dirty" electricity. However LED's I have not heard or read any negatives other than $$, hoping that changes in the next 5-10 years! Count me in, I'd love to receive some $$ for LED's! Have converted to mostly CFLs. I have actually gone back and replaced some CFLs with incandescents. I found that the CFL bulbs didn't last very long at all in fixtures that were either constantly turned on and off or were only on for a brief period of time. I was burning bulbs out in six months. I hope that LEDs will have a better lifespan. We switched over to CF a couple of years ago, and the reduction in our electricity usage has been noticeable. I'm happy with the tone of the light in our home, and I'm fairly picky about that. I'd love to try out an LED bulb or two to see what I think of this type of light. Thanks for the chance to win! I have not liked any of the CFLs we have tried over the years, and now with aging eyes, I find them even less desirable...nothing looks right, so I have to go back searching for regular Reveal bulbs or similar. Where is the satisfaction? We have a mixture, but mostly CFLs. It's hard to get the right kind of light with CFLs and usually it's a little harsh. I was also looking at a "make a fake dawn" device that over a 30-min. time span, gradually turns on a regular light bulb to mimic dawn (for those of us who hate winter darkness). Can't use CFLs with that - I wonder if you can use an LED? We'd like a brigher light kit on our ceiling fan and CFLs aren't bright enough. Maybe LEDs will do the trick. We started switching over to CFLs when they first became available, little by little when the cost was high, and then pretty aggressively when the cost came down. We only have 2 fixtures now that don't use them, and I'm actively pushing the spouse to replace the fixtures. Having said that, there are some fixtures where the CFLs seem to burn out very quickly. I have a box in the basement with our burned-out ones, and they go to the once a year hazardous waste recycling drop-off. Would love to try the LEDs, although, as my eyes get older, I do worry about what I've read about them not being as bright. I'd certainly like to give them a try! We've switched the entire house over to CFLs, which we mostly love. Except the oddly shaped ones (like the globe bulbs for bathroom vanities and the sort of candle shaped ones for ceiling fans) seem to burn out much more quickly than the seven years claimed on the package. I've been interested to try the LEDs....we have one or two in the house but mostly just night light bulbs. We mostly use CFLs. The money we save on the energy they use is significant; it's enough to pay for the bulbs, certainly. Disposal...um. To be honest, I've been keeping the burnt out bulbs in a box. I don't honestly know what to do with them. We have a combination of CFLs and traditional bulbs. We've taken the approach of replacing the traditional bulbs with CFLs as they burn out (new-to-us house). Some rooms could use more lighting, but overall, it isn't too bad. we have a mix of CFL's and regular right now--I would love to try the LED'S! Thanks for the chance to win--I love your blog! I bought and installed all my CFLs 4 years ago and haven't had any issues yet. My electricity bill is still higher than I'd like, so I'm excited to try LED bulbs. We have switched to CFLs, but are concerned about the mercury issues, and my husband has migraine sensitivity to the wavelength of the light from the CFLs, so he still has a few "regular" bulbs in his lights. We have looked at the LEDs as an option, but have shyed away from the cost. Would love the chance to try them out! Thanks! We use CFLs exclusively. I hate turning on lights so I usually leave them off until I have to turn them on. I'm embarassed to admit I didn't even know they had LED lightbulbs so I've never even thought that about using them. They are costly so I will probably just stick with my CFL. I've tried to switch to CFL's but the price gets me. I'm on a super tight budget so I can only buy one a time. It's hard to compete with two incandescents being less than a dollar. Since I can't afford them much, I try to focus on using less. I have no problem using CFLs, but I live in an older house with fixtures from the 70's/80's and the CFL's don't fit in my ceiling fans with the glass globe over them. It's a little brash to have all of these lights without any diffusion. We have CFLs throughout the house. I like them, but don't appreciate the time it takes for them to warm up. Do the LEDs have the same issue? My husband is an electrician, he estimates the cost savings of these lights to be huge. We are slowly converting our house over to them. I don't like CFLs. I don't like the colour spectrum, the wait to get to full brightness - and most of all, I don't like the fact they are made in China, and made with mercury - what sort of "off-shore" environmental and health problems are we creating by buying them?? We use mostly cfls I think the only lamps that we don't have them in are a few of the recessed halogen sockets and a few desk lamps that use little bulbs. I don't like the way CFL's look in a few of the lamps. There's just something wrong about a cfl peaking out of an arts and crafts style shade or from underneath an industrial style light fixture. I have been trying to replace my traditional light bulbs with CFL bulbs whenever I could afford them. We have flourescent lights in our rec room but I think they give me a headache. I would love to try the LED bulbs. We use CFLs in all our fixtures except the bedside lamps. I just don't like the light that comes from them, so this is our compromise. Maybe I ought to try an LED light and see if it's better. Oh, please let me try one! I have been replacing burnt incandescent bulbs with CFL's for several years now, and don't really notice the lag in time to light up anymore. The dimmer light while they are cold is just . . expected. The two bulbs that I put in the light fixtures in the Pony's run-in shed out to the barn, though - didn't last long at all, either one. Since the fixtures are mounted about 12 foot high - that is somewhat inconvenient. I am hoping for better duration with LED bulbs. I have been considering LED bulbs for my home so this offer came along at a great time. Thank you. I have been bouncing around from place to place for years now, but I always replace a burnt out bulb with a CFL. I convinced my current roommates to replace a bulb in the hallway w a CFL and they were skeptical about the initial brightness but in a minute it obviously brightens. It would be great to try out the LEDs. Have begun converting to LEDs as I'm not happy about the mercury in CFLs. What I really want to accomplish is converting our theatre lights at school to LEDs. LEDs contain the full spectrum of colors so we would no longer need to buy plastic gels to color individual lamps. It would be a huge long term reduction in energy costs as well. Maybe you could contact an LED stage lighting company and have a contest with their products! Our whole house is CFLs (except one bulb we need to turn on fast in the basement), we love the savings and with rebates it is really not that expensive. I have gotten a couple of full spectrum lights since MN winter drags on. I was thinking about getting more, but will have to wait and debate about Full spectrum cfls and leds. We have been using CFL for about 10 years. We just moved to a new house with lots of dimmers so we had to switch several lights to incandescents. LEDs would be great! "Currently, they are more expensive than CFLs, much like CFLs are more expensive than incandescent lighting. " A great deal of our world trouble is brought on by our current accounting systems; both economic and societal. Somehow, the "upfront" price of something, is seen as the "cost", or expense, and connotes the "value". We ALL know better, and I'm aware that you know perfectly well, Crunchella. First step; baby step; is moving to different terminology; and actually THIS is a seriously good place to start that kind of thing. A compact fluorescent, using the same measures, might cost - $0.30 per MLY; and the promise of the LED's is that they might cost $0.20 per MLY. Unless you die, you're going to consume/need 20 MLY in your house, in the next 10 years; would you rather pay $20 for it; or $3; or $2? Now; which is less expensive? This stuff REALLY matters; and it has to start somewhere. Crunch; I know you're mathematically adept; you could actually come up with a unit like an MLY that mapped onto the real world. The entire point of "environmentalism" is exactly this; it's way way cheaper than what we're doing now; but this terminology/accounting thing is why our "Decision Makers" (don't laugh too hard) are unable to comprehend the problem. They see only the price, partly because it's the only number we use. Seriously. Deanna. I'm looking at you. :-) Here's another avenue into the NYT and HuffPo for you. I would love to switch over to LED. We tried to use CFLs everywhere in our house, but there are some places they just don't last (like the bathroom). Plus now I have two toddlers who just can't keep their hands off my lamps and I am afraid of them breaking a mercury filled bulb. We mostly have CFLs except in the bathroom & outside. We have a number of recessed can lights outside and tried the CFL replacements. Even though they were rated for outdoor use down to -20 F (we're in WI), they didn't last a year and hubby couldn't stand how long it would take for them to brighten. Plus the color was really off in cold weather. I'm so disappointed with our outdoor CFL experience. We just use candles. Haven't turned on the lights in over a year. I've been eyeballing the LED bulbs for months and months. But with only 1 income for the household right now, it just hasn't been in the budget with everything else we have to get. We switched to CFLs in most fixtures, just BEFORE the LEDs became affordable and available locally. We donated our stockpile of bought-on-sale incandescent bulbs to the local migrant help office. Someday hope to replace the CFLs with LEDs, thanks for this chance to win! The good thing about Grandpa working for the electric company is that he's willing to try things that will save on the energy bill. This past week, we started having to change some of the bulbs as they were finally going out. I like that they really did last a lot longer than their predacessors, but I don't like the fact that I now have a bucket full of bulbs to take into town where they have a Home Depot that recycles these things. But that's what we get for having so many lights in this house. I'm all for switching to something better as long as it really is better. And if it really is better...then in a few years the energy company here may promote them at Costco and let me stock up for pennies like they did with CFLs a few years back. Win-Win. We have CFL's and like them to a point. They are not as bright as the incandescent bulbs but after a short time we adjusted to them. I have wanted to try LED's but haven't had a CFL go bad to replace it. Being a Canadian I am not eligible for this draw but will comment anyway. We use mostly CFLs except I use incandescents in my 3 reading lamps because I don't have the best eyesight and CFLs cause enormous eyestrain.They are too dim for me to read by. All our Christmas lights are LEDs - cheap and efficient but not very bright. Not really festive looking but safe on the real Christmas tree because they don't heat up. Oddly enough, this lack of heat caused some problems in our cold and snowy country when they started putting LEDs in traffic lights. Because they don't heat up, they do not melt the snow that falls onto the traffic lights so they have had to start replacing them with the old fashioned bulbs again. Otherwise, we can't see any lights! We can dispose of our used CFLs at any Home Depot or some other hardware stores here so that is not a problem. I do hate CFLs but I use them anyway. I sure hope the technology gets better with them. My husband is really excited about the newer LEDs. we have a mixture of both lights- but i would say95%cfls. they are nice, and we enjoy the energy saving benefits, but what is not good is that they take so long to get bright, its not a HUGE deal in the summer, but is in the winter, when it is COLD in our house, and it can take as long as a minute for the light to get above very very dim, and three minutes to full brightness. We have CFL's in every fixture, except the kitchen which has a circular fluorescent. I'm happy enough with the actual light output and cost savings of CFL, but not at all pleased with the mercury issues. LED wasn't an affordable option when we moved into our house, and still isn't really, but as each bulb goes I plan to replace them with LED as long as the LEDs I can find are bright enough. I'm hoping that be doing it one bulb at a time it won't break the bank. Traditional long-tube flourescents always had a reputation for long time "on" - but crapped out early if there are too many on and off switchings. That is - leave them on all day, they last a long time; put it in the bathroom and flick it on and off bunches of times a day - and they go dark pretty soon - the thermal shock of lighting off is what cooks them. I never heard that CFLs were different from other flourescents in that regard. I suspect that turning them on for short periods of time - less than a couple of hours - will noticeably shorten the life of the bulb. At least, that is what I expect to happen. I think the cost issue is both. But it take a certain amount of affluence to accumulate abundance against future need. It always has. If you could, you would plant a garden big enough to feed your family and enough livestock to provide what meat, leather, wool, and other products you might need. If you only have a patio with a few window boxes, you do what you can, but you won't achieve all your needs there. If you are trying to meet the rent, transport costs, school - basically, needs for today and the current week - a lump of $100 for a handful of bulbs is a real stretch, sometimes. We should all be affluent enough to make use of all the opportunities that would benefit us. We had switched our whole house to CFLs and then moved late last summer. I'm in the process of trying to increase the energy and water efficiency of the new house. Every single bulb here is incandescent!! We've bought a few CFLs and even a couple of these LEDs over the last couple months. I don't really have a preference for CFL v. LED. Well, LED I guess but only because it save more electricity. Great giveaway! We haven't used any LEDs. I don't like the CFLs. Our house gets frequent power surges. Our light bulbs burn out frequently, CFLs and incandescent. I think that using CFLs in this instance would only pollute the environment more. We've switched to CFLs for most of our lights. We tried LEDs in my son's room — a ceiling fan with a light fixture. But the lights glowed when the fan was on, so we had to return them. It is hard to keep experimenting with LED bulbs in other rooms when they are so expensive! We have mostly CFLs in our house. Even dimmable ones, which are expensive. Overall, I pretty much hate them. But the energy savings are worth it. I try to make use of natural light as much as possible, but like you we will have to turn the lights on by 4pm now. We have some LED puck lights in the kitchen, over the sink. They aren't bright enough for task lighting, but they serve a good purpose - a dim light in the kitchen at night when we are frequently in/out to grab a glass of water, a snack, some motrin, or let the dogs in or out. The ones as have are several years old & I bet the LEDs have gotten more useful. We are about to build an addition on out house to fix a structural issue and add more natural light while super insulating the new envelope. I hope to put all LED lights in, but need to do a trial first to see how the LEDs work for us. And I need to see how it falls within the budget, as we are paying cash for the addition. I do prefer the light of a traditional incandescent but we have moved almost entirely to CFL, which are fine. Except in places like the pantry where the 15 second ramp up time is usually longer than the the time it takes me to find what I need. We would love to try out some LED's! 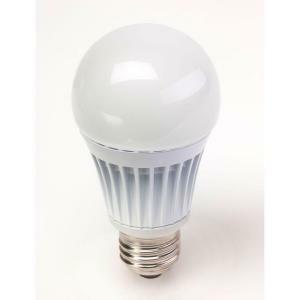 We have all CFL's but I think with LED using less energy, lasting longer, and not having mercury they will soon be the better way to go. those CFL bulbs not only contain mercury but i've been reading a lot lately about them emitting 'dirty electricity' for those two reasons i have chosen to have none of them inside my house. "However, the cost savings in the long run (assuming they last as long as they purportedly are supposed to) more than makes up for the initial investment." Yes, I am well aware of the long term cost savings. But when facing a wall of bulbs ranging from $2 to $20, most people on a tight budget tend to be more concerned about making ends meet now. I'm concerned that incandescent bulbs are being eliminated. Some people do not react well to CFL light. We currently have a mix in our house. And I've been meaning to try LED lights. Thanks for this contest! I am really excited about LED lights. We are using mostly CFLs and they make me nervous. Especially since I had a scary tachycardia episode while I was kneading bread, of all things. I was standing at my kitchen counter, right in breathing range from the under-the-counter mounted CFLs we have. And one of the bulbs had been snapping and crackling that morning. The cardiologist says that is unlikely to have been the cause, but the episode was so random and extreme, I still wonder about mercury fumes. We have CFLs, except for a few dimmable can lights that we are slowly switching over. The right bulbs for those cost $10 apiece. I've never tried LEDs. I'd love to try some LEDs. Currently I have a mix of bulb types in my house, depending on need. I haven't found a CFL yet that will give enough light for a reading lamp in the living room. I've got a couple of CFL globe lights in my bathroom, but I can't seem to find them in low enough wattage. I have 8 lights in there and 60W bulbs. Way too much light for my eyes first thing in the morning, so I unscrewed all but 3 of them - much better. We have the small CFLs in our ceiling fan fixture in the LR, but they take SO LONG to light up fully - there I want higher wattage. So, its all a case of trying different sorts of solutions for different situations, but I'd love to try LEDs. We've been using CFL bulbs for about 5 yrs now and at first I hated them because they took forever to turn on, but as the years went by they didn't bother me as much. My husband is dying to use LED lights in our house instead because of how much longer they last and how bright the lights are! I'm going to home depot to recycle my old christmas lights and although $3 off is great - its not enough to outfit my entire house with them. Being another WA native like you Crunchy you know we could use some happy LED light in our homes! My fingers are crossed in hopes to WIN! We have all CFLs. They are fine. I don't like the disposal and clean up if one breaks though, that is a huge pain. Ick. I am a huge fan of LEDs, all my bike lights use them, and as a year round bike commuter, I really like the super bright ones..very useful! WE do love LED technology at work as well, but then, I work in a science museum. Been wanting to try the lilypad soft circuit tech for light up clothing. Would love to try the LED lightbulbs in the house. As old bulbs burn out, I've been replacing them with CFLs. I got a bunch on sale (at a grocery store, of all places), at a really reasonable price. At first I didn't think I would like them, because I didn't realize they took a few minutes to sort of "power up" to full brightness, but now I'm happy with them. I resisted them for a long time largely because of the disposal issue. A switch to LED would be awesome to alleviate that lingering uncertainty! I have CFLs, and I wish they were a bit "warmer" in terms of the light they put out, but I'll stick with them for the energy savings. I love my CFL's, but would welcome the chance to try a LED light bulb- I only have one incandesant bulb left here, and that cannot be changed as it is in a sensor ficture and CFL's don't work right in them... so guess where an LED would be headed for? I'm not opposed to LED lights, but I wish someone would do a cost comparison of the many different ways one can spend $ to be more environmental. Is it more effective to spend $200 on new LED light bulbs, new storm windows, a few rolls of insulation for the attic, a better storm door ?? I know the variables are nearly endless, but if you just looked at the average house with average windows, doors, insulation, etc then it would still be a useful comparison. I strongly dislike CFL bulbs. The light quality is poor, the bulbs themselves are a PITA to dispose of, and they don't last anywhere near as long as they claim. Our electricity bill is $40/mo so I lean toward thinking that $600 to replace all the bulbs in my house is better spent on weatherstripping and interior storm windows. I bought the CFL bulbs and switched out all the old bulbs but they are so much darker. I love the bright light that fluorescent bulbs give off. We stopped getting CFLs because in addition to not liking the quality of the light, they were burning out just as quickly as incandescents... didn't seem like a good environmental choice and definitely was not cost-effective! (I suspect something unusual is going on with our electric system. )I'm hoping we don't have the same trouble with LEDs. I love my CFLs but worry about the mecury (like yesterday when I knocked over my desk lamp!). It would be great to try these LEDs. Last year I tried LED Christmas lights and they were great! My lights are so dim, I could use something brighter, but I'm totally into better bulbs. "Greenpaps - Perhaps you missed my comment in the post:"
:-P No, I didn't miss it; perhaps you missed MY comment, in my comment: "I know you know". My attempted point: in terms of actual impact on the planet; it's a mistake to phrase it the way you did; ie. CFLs and LEDs are more expensive. My contention is; they're really NOT. And yes, I'm highly aware, as Brad K pointed out and you did too, that for "people on a budget" it's hard to come up with the necessary bigger price. And PART of it is purely habit, the way we phrase things, and the incessant excuse "I can't afford the upfront cost." That barrier (particularly for the price range we're talking about - $10-$30??) is psychological, not real; and the impact of the SAVED money is very very real. It's a societal HABIT; and one we could work on altering. A specific example; and on a much more painful scale; I bought a cheap used tractor years ago, as all that I could afford. No, I did NOT have the money to buy anything better. No options. So I was told, and thought. The reality; that cheap tractor was very expensive; burned gas like crazy, and had to be fixed all the time. Real impact on my family and business; very expensive; for years; money lost in down-time, gas, etc that should have been used to fund other endeavors. After 15 years- I allowed John Deere to sell me a brand new tractor; which they financed at 6% for 4 years. Cost 4x what my cheapo did. And has saved me a HUGE amount of money. Burns 2/3 of the fuel; doesn't break, etc, etc. I could have done that in the first place; the barrier was psychological. I contend the same is true when we we allow people to say "The LED lamps are more expensive"
It's purely a bad habit. I'm also game to try the LEDs and thank you for the opportunity. We have a few LED lights but they are not bright. Have to agree with Greenpa here; and want to point out, this is a SECRET of The Wealthy; and an old old trap for the poor. The poor (including me) are trained to buy "cheap"; and taught that's all they can have. The wealthy are taught never to buy cheap; but rather to pay for quality. The hard nasty reality, at year 20; is the Pofolks family has earned and spent, say $1800 on 8 cheap sofas; where the Richrus family in the same time frame has spent $800 on one excellent sofa, and has a hard, solid real $1,000 in their pocket to use for something else. It's a hard hard habit to break; but I know for a fact that the wealthy laugh at the poor, on this point. I have made the switch to all CFL, which has its pros and cons. Nice that the bulbs take a minute to warm up first thing in the morning when my eyes aren't adjusted yet. Sign me up for the giveaway! I have CFLs, but the way we use our lighting here, I'm not sure they're the best choice. Many places in the house have lights we turn on only briefly, then shut back off. My understanding is that this kind of use is not great for CFLs. I haven't tried LEDs at all yet, and would love to do so! Sadly the cost of switching over has prevented us from changing out our lights! :( I would love to convert and save energy and reduce my carbon footprint hopefully in the process. LED's seem like a much better alternative rather than the standard light bulbs. Now if I could only get my family to turn the lights off when they leave a room! We've been using CFLs for years but the house we live in now has some problematic light fixtures. In those fixtures the light bulbs burn out super fast. I'm talking weeks. Over and over again. So until we replace the fixtures, we're stuck with incandescents in those sockets. I'm glad you found the price to life ratio for LEDs at Home Depot to be a savings. I was looking in the Gaiam catalog the other day and their LEDs cost more for the life of the bulb than an equivalent number of CFLs. I am very interested in trying out LEDs. I'm slowly switching over to CFLs as my incandescents burn out, but I do miss the softer glow of the incandescents. I've loved the CFL's we use now instead of incandescent bulbs for the environmental and economic benefits. Until reading your post, I didn't know LED bulbs were out there like this. I thought the only options were in holiday decorative lighting and electronics and not in bulbs for room lighting. I'm excited to try them, they sound like a great improvement over CFL's. I'd love to try LED lights--I don't have any yet, just CFLs. I hope LEDs live up to their most enthusiastic advocates. Off to Home Depot. . . .
We replace any bulbs with LED lights. Would be nice to win this one! We use compact fluorescents, except for a few fan lights that have remotes. CFLs and remotes don't play well together in our house. I tend to feel like the incandescent bulbs are brighter, but I have no problem buying the CFLs. I hadn't seen the new LED lights in the store, though I had heard rumblings. I also hadn't been paying a lot of attention to bulbs since my CFLs are still working fine. I do always remind people who I see buying them (I work retail) that they can't go in the regular trash. It's amazing how many people actually forget that! I have one issue with CFLs: the ones I use in the spot lights in my kitchen do not last longer than 6 months. Because of the disposal issue with CFLs, I have changed those back to incandescent as the CFLs burn out. I have been thinking about switching to LED, but they cost too much right now. I love LEDs (don't want to use incandescents, but I can't stand the buzzing of CFLs, and the environmental issues with those worry me), but haven't been able to afford the standard bulbs yet. I'm a low-light kind of person and do okay with LED strip lights in a few places, but my husband likes a lot more overhead light, so these would be an ideal solution. We only have CFLs in our house. The few seconds it takes them to warm up is not a problem. I really don't even notice any more. If I need to run in a room for just a few moments, I don't bother to turn on the light, to save wear and tear on the bulb, but I do have a pretty open concept house. Have never thought of trying LEDs - would like to see how they compare. We have a mixture of bulbs and they all burn out incredibly quickly except the standard ol' bulbs. Makes me crazy. It seems the longer they are said to last and/or the more expensive they are, the quicker they burn out. I haven't tried LED bulbs yet though! Would love to try! We are slowly changing our light bulbs to CFLs but the mercury really bothers me. I am glad that they last for years but the mercury, even when recycled, is a persistent problem. I would love to try LEDs. Thank you for the opportunity! I have used cfls for years now and have adjusted to them.I don't think though they last as long as touted. I am hoping that LEDs live up to their hype. I have an LED outdoor light and it truly doesn't shine a lot of light on the situation. I would be more than willing to try out an indoor light and see if it is different. I have attempted to use the corkscrew type ones but they don't fit in my lamps so that experiment went awry. I guess in this area, I am not terribly eco-friendly so could use a push in the right direction. We use CFLs, but my one of my kids knocked over a lamp and broke one, last year and I nearly had a nervous breakdown :). I would love to start to switch to LEDs. Thanks for the nice givaway! We rent a small 2 bd apt.I replace the old lightbulbs ,when they burn out with cfls, but I am worried about the mercury in them. I recycle them at Home Depot, but I'm afraid not everyone else is. Where they end up is what scares me. We have switched almost completely to CFLs, but I'd love to try LEDs. I do like the CFLs, and luckily they don't always shed the harsh light that earlier generations did. I use a combination of CFLs and incandescents. My house has a lot of fixtures with exposed bulbs, and CFLs look like crap in them, but since I rent, I have no intention of changing the fixtures. Everywhere else is CFL, even though I'm horribly disappointed in how fast most of them burn out! I even had one in a four-pack DOA!. I haven't sprung for an LED yet, but if they last half as long as they say, I might be ahead. I have been (slowly) replacing burned out bulbs wit CFL bulbs...but because I have a room with four overhead lights on a dimmer switch, that one room has been a huge and expensive problem! CFL dimmer lights cost $12 a pop, so I keep putting it off and putting it off. I've been trying to reduce debt and not use my credit card, so this project consistently gets shoved to the bottom of my list. I have been able to replace the bulbs in other light fixtures and lamps with CFL bulbs, and am happy with them - don't notice any difference except for the energy savings! I'd love to try LEDs though, and save even more money. I've not used the LED lights but would be willing to try them out. It took a bit to get used to the CFLs but I'm pleased with them...I do like how long they last, particularly in those hard to change places i.e. garage, over the sink, above the stairwell, etc. we use mostly CFLs, but i am not crazy about their disposal/cleanup. one broke in the kids' room and i was worried about them sleeping in there for a while. i would love to try the LEDs...but haven't bitten the cost bullet yet. Like Danika, I also have 6 flood lights in my kitchen and would like to switch them to a more earth friendly bulb. I also use CFLs elsewhere in my house so either win would be great! I hope to purchase a few LED's with the savings from Freeze yer Buns this winter, can't afford them otherwise. Hubby not happy with the challenge, he now has to wear clothes in the house!! Our house is predominately CFLs and I love them. I actually like the thirty seconds it takes for the light to reach its full brightness. We've been here for over a year and have only had to change one bulb. We took the spent bulb to our local recycling depot--they have a special bin just for CFLs. The only room that hasn't been switched is the kitchen. The CFL floodlight options are miserable and they make the kitchen look (and feel) so dreary and industrial. Perhaps an LED bulb would make it so the kitchen can be as efficient as the rest of the house. Worth a try! To be honest, I didn't realize LED bulbs worked with traditional fixtures. I thought you had to have some sort of fancy LED fixture to use them. Learn something new every day! ...and to the conversation of wealth and consumption, I really liked Eulenspiegel Einz's comment about being trained to buy cheap. It's so true! Quality will always cost less in the long run. I have CFL's and like them fine. I'd love to try LED bulbs. Not changing a light bulb for 15 yrs sounds amazing. We continually try to replace our regular old bulbs with CFLs. Pretty happy with how infrequently we have to change them, and the energy savings, and the lighting doesn't seem to be all that different in terms of light output. We might have a few old bulbs in packaging still in the closet... wonder what we should do with them... any ideas? We have incandescent, CFL and florescent. I'd really like to try the LED lights as I'm concerned about the mercury in the CFLs getting into the house in the event of a break and also I think some people probably do not dispose of them properly. I would love to try the LED lights. Currently using a mix of CFL's and regular bulbs. I would love to try LED lights. I don't know much about them but any effort to reduce my environmental impact is worth it. I use CFLs, but have been worried about the mercury. Would love to try out an LED! We've transitioned to mostly CFL bulbs in our home - except for a few strategically placed reading lamps that are used only as needed. I've been thinking about switching to LED bulbs, but the higher cost has kept me away. who knows, if I get lucky with this contest, and the bulbs are decent, we might replace any blown CFLs with LEDs in the future. Crunch, didn't see it here but what's the Kelvin on these bulbs? I like my light warm (i.e. 3000K and under). LEDs are getting there but they tend to be a blue-er, colder light than I like. Also, really need some dimmable lights; not much on the market yet, even in CFLs that are actually good quality, lasting and dimmable. Light control is an important part of my environment! We're switching over to CFL's as older bulbs burn out. Only place we've had them not last is in a 3way lamp. Went back to incandescent bulbs we had in the cupboard for now.In Salt Lake the County Libraries are pickup spots for flourescent bulbs, check w/ your county extension service or your county website. I have switched to CFLs as much as possible, especially outdoor lights that spend a lot of time on, laundry room, garage, etc, spaces where I care less about the quality of light. Still love incandescents where the quality of the light really matter to me. I do half-n-half in some fixtures. I would like to try some LEDs! We have cfls everywhere, and let me tell you, they both make me nervous and I'm not so happy with the light. I've broken one cfl, and I'm pretty darn sure that most of them (not ours!) end up in the garbage- bad news. So I'd love to try the leds! We live in an older house (1920's) and we've made the switch to CFL's in almost all of our lights. Unfortunately, there are some lights I've tried using CFL's in and for some reason, they don't work :( I looked at LED's as well, but they're SO expensive. Being unemployed I just can't afford LED's to give them a try - and my boyfriend whom I'm slowly converting is still fine with incandescents (same with our electrician). I am starting a small business educating people on how to go green (green home makeovers and lifestyle consulting) so being able to demo LED's would be AWESOME! I just hope in time the prices drop so they become more affordable. Just yesterday I had a friend email me because her kids broke 3 CFL's - THREE! I had to assure her she (nor they) were going to get sick, but it would have been nice to show her some cost effective, healthier solutions. We've gone CFL all the way, but we do have LED lighting in the front room, and love it. It's a 12V system that my dh saw in a restaurant and installed in our house. Would love to try these new LED bulbs though, as I'm not too keen on the differently-hued CFLs we have, often in the same room (e.g. bathroom)! I have halogens and CFLs in my house with the exception of my bedroom. I bought the candle CFLs and I tried I really tried but it looked like 5 ahem, "martial aids" staring down from me from the ceiling. They killed the mood. They kept me up at night because I was sure that they would expect me to do more than just well, sleep in the bedroom. They had to go. The LED bulbs look more like the incandescent flame shaped bulbs I have now and would greatly reduce performance anxiety. I have switched over to CFLs everywhere I can and I love them, especially the ones sold at Ikea. They actually have a warm glow similar to an incandescent. I have been using them for a few years now and have not had any problems. We mostly use CFLs. I'm mostly happy with them, but there are a few on dimmer switches and they flicker if the switch is not set correctly. I've been on the lookout for a sale on LEDs to see if they are any better. This would be a fabulous way to try them - thanks for the giveaway! CFLs don't work in several of 1960s light fixtures (including the 40 watt fixtures in our laundry room/pantry). After I shattered a CFL bulb in our garage and had a metalic taste in my mouth for days, I find myself reverting to incandescent bulbs due to the mercury. I have a mixture in my home. I have a few old lightbulbs for lights with 3 levels (touch) CFLs in the lights that have burned out - replace as I go. I don't love those lights in some places because they build up to their brightness - which is annoying in some places. I don't have any LEDs, because I haven't finished with the CFLs I bought. I am interested in them for the lack of heat and brighter lights. I have CFLs and I like them, but I worry about the mercury, especially in case my daughter breaks one. We're happy with our CFLs, but not so happy about their disposal issues. And, in my ongoing quest to drive that electric bill down further, LEDs are a good next step. Our first foray into the LED scenes was with a string of Christmas lights - these, as it turned out, produced a very anemic blue light. I look forward to trying LEDs for more general room lighting, especially as they improve in light quality and go down in price. Please enter me in the contest for LED's!!! We have used CFL's for years...but I want to convert to LED's but they are just so expensive! We have CFL's in all but the hallway. I like them in most rooms, but loathe them in the bathroom since they take forever to "warm" up. I've very interested! This is awesome! We use CFLs though I have NOT been impressed with their longevity and we have a stash of old ones in the back of the closet because we're not sure where we can safely dispose of them. We use CFLs in most of our lamps. Just the globe lights around the mirror in the bathroom are incandescent but they came with the apartment and since they are used for 10 min a day it's not worth the super high price for decorative CFLs. LEDs look promising since the lag time for the CFLs to reach full brightness is really annoying, especially with the floods in the kitchen. I've been wanting to switch to LED, but waiting for the price to go down. We currently have almost every light switched to CFL's. I don't mind them. They don't work in the bathroom though. We tried & they kept burning out to quickly. We also used the old type in our stove & our dimming lights. Otherwise, totally all CFL's. I haven't seen too much of a difference in bills, but hoping that some good is coming out of using them. I really think LED's are going to be the way to go though once the pricing gets affordable. We use mostly incandescents with a few LEDs (that we got free) and some sodium lights outside. I flat out refuse to switch over to entirely CFLs for several reasons. 1) I hate the light they produce, it messes with my eyes. 2) I don't care to bring things into my home that require 17 steps of instructions on how to clean it up if it breaks. 3) I can't stand lighting that doesn't turn on instantaneously. I have hope that LEDs (when they become reasonably priced) will be the answer, because otherwise I will be one of those people who stockpiles incandescents should they ever get banned. I've wanted to try LEDs for quite some time, but just haven't had the fundage for the initial investment. We mostly have CFLs in the house now. I have CFL's in my house currently. We're about 80 percent CFLs (in terms of sockets. Much higher in terms of usage, I think). We have a few specialized light fixtures with smaller bulbs that are incandescent. I hadn't even heard of LED as a non-toxic substitute for CFLs. LEDs cost more than CFLs, but for some, reducing electric bills is not only about saving money, it's about reducing the toll of electrical production, blowing up mountains for coal, contributing to global warming and lung disease... nuclear power plants and radioactive waste. For every watt we save it's one less watt we need to produce, so we can balance our consumption with our production, be able to produce all the electricity we need with clean energy alternatives like solar and wind. Lighting consumes 20% of the electricity we produce, which means LEDs have the potential to reduce our electrical consumption by at least 10% all over the world, and since they are totally solid state, their cost will rapidly decrease. We use all CFLs at our house. We are happy with them for the most part. I hate that there is mercury in them. Also, we have found from our experience over the years that they don't last in our multi-bulb bathroom fixtures. Not sure if it has to do with the moisture in the bathrooms or the fixtures. We just stopped replacing them when they would burn out so we are down to 1 bulb in the downstairs bathroom and 2 in the upstairs and strangely enough we've had the best luck yet just keeping them like that. We would love to try out some LEDs but are waiting for the cost to come down a bit. Thanks for the chance! We have a lot of CFLs, and would like to try some LEDs. We have some recessed lights that have special CFLs, so not sure if LEDs would work there, but they have been burning out way sooner than they should. Enter me!! I don't like CFLs because of the mercury and because they don't last as long as they claim to and have no warranty to back up those claims (in my experience). -Elisabeth S.
Wooo Hooo! I would love to try LED lightbulbs, but I'm too frugal to make the jump. Awesome opportunity, thank you!! I've been replacing incandescents as they burn out, and now we only have 2 or 3 left. So far I've been replacing them with CFLs, but I must admit, the LED route is looking very tempting. I was thinking about taking the plunge when my next incandescent goes out. Your giveaway could be the spark (ha, you see what did there?)! We have some LEDS, but haven't fitted my whole home yet, as they are so expensive. The switch to CF was ok, saved some money but I hated the color of the light. We added daylighting with solar tubes to get more natural light and that made a big difference. I want very much to try the LED lighting options, see if energy costs can go down further and still give enough light. We have largely switched to CFLs, including outfitting our outside lights with CFL friendly auto-switches. For chandeliers, and dimmer based lights we're still using incandescents. And we have a significant amount of tracking lighting that we'll be waiting to replace until appropriate alternatives present themselves. We use CFLs and love them. They take a minute or two to warm up and brighten up the room, but it's nice knowing that they're going to last longer and are better for the environment. The only problem, though, is that they can be fairly pricey. I love LED lights. While I love the warmth of incandescent lights, they're yesteryear technology. I've switched to CFL's almost everywhere. Oooh! OOoh! Pick me, pick me! LEDs are amazing. We swapped to CFLs a couple of years ago to save on energy, but wow, LEDs are even better with the nice warm light rather than the crazy bright hospital like CFLs. Whoever wins, this is excellent. I would love to save money and time with new bulbs. Thanks for the opportunity! Would love to use this in our dining room lamp. Just came across your contest, how fantastic. Not only am I known as the "Office Tree Hugger" but I am constantly on my bf about turning the lifts off at home. I love to save energy and have switched out a few of the bulbs in our (new to us since 8/2010!) home. The house was built in 1946 so the old features are fantastic but we'd love to add that energy saving, earth loving lights to make the home more modern in an earth-friendly way. Thanks! We just began switching over to CFLs. They kind of freak you put at the beginnig because they're so dim at first and I reacted..."what the heck did I buy these for". Then they become really bright. I have yet to test they're longevity. I'm willing to try out the more expensive LEDs. We use mostly incandescent because my wife hates CFL's. I'm very excited about LED lighting. I already converted my Christmas Tree last year. The efficiency, low operating temperature & long life make them awesome. And well worth willing this contest. We love LEDs ... We are slowly but surely changing over. LEDs are a lighting choice for the future, certainment! Most of my bulbs are now CFLs although I'm not thrilled about mercury. I pay less than $15/mo for power for a 2 bedroom, so I'm happy with my energy savings. I have a couple of cfl's in the house but not always thrilled with the "brightness" I remember seeing a story on tv about led and wanted to try them then but just don't have the finances,like u said, for an initial purchase..doesn't hurt to try winning to save money.